This book has been written as an introduction to the main issues associated with the basics of machine learning and the algorithms used in data mining. 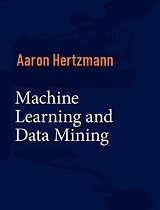 It offers a thorough grounding in machine learning concepts as well as practical advice on applying machine learning tools and techniques in real-world data mining situations. It will teach you everything you need to know about preparing inputs, interpreting outputs, evaluating results, and the algorithmic methods at the heart of successful data mining.